The San Antonio City Council named Deputy City Manager Erik Walsh as the finalist for the city manager position on Wednesday night. The position became vacant when Sheryl Sculley announced in late November that she plans to retire after 13 years with the city. “Erik has advanced from budget analyst to Deputy City Manager during his 24 years with the city, demonstrating strong leadership abilities and a collaborative spirit while rising through the ranks,” Mayor Nirenberg said in a statement. The top two finalists out of eight applicants, Walsh and San Antonio Assistant City Manager Maria Villagomez, move forward in a second round of interviews on Tuesday. A final decision will be made on January 31st. The debate over the Trump administration’s decision to pull US troops out of Syria has reignited after the deaths of four Americans in a suicide attack. 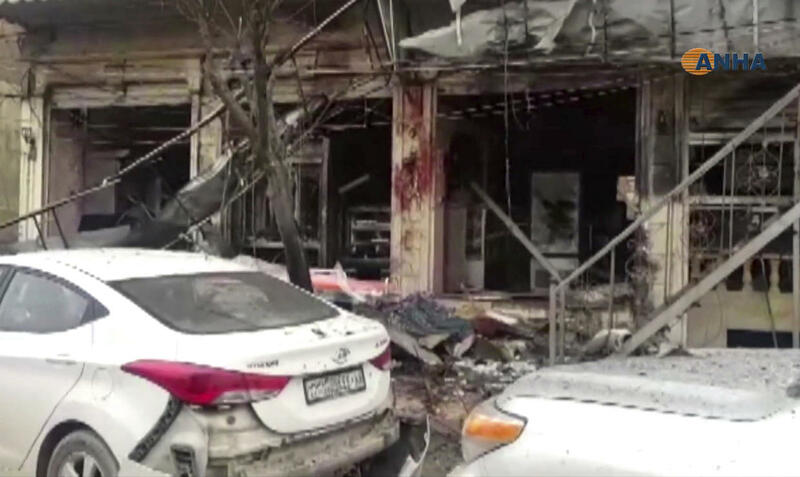 Two US service members, a defense contractor and a Defense Department civilian were killed in an explosion in the Syrian city of Manbij. ISIS claimed responsibility for the attack. Both GOP and Democratic lawmakers renewed their appeals to the President for troops to stay in Syria until ISIS is definitely defeated. But the White House said the attack won’t reverse Trump’s decision. There are about 2,000 US troops in Syria.